You can create an insurmountable gulf between you and your competition. 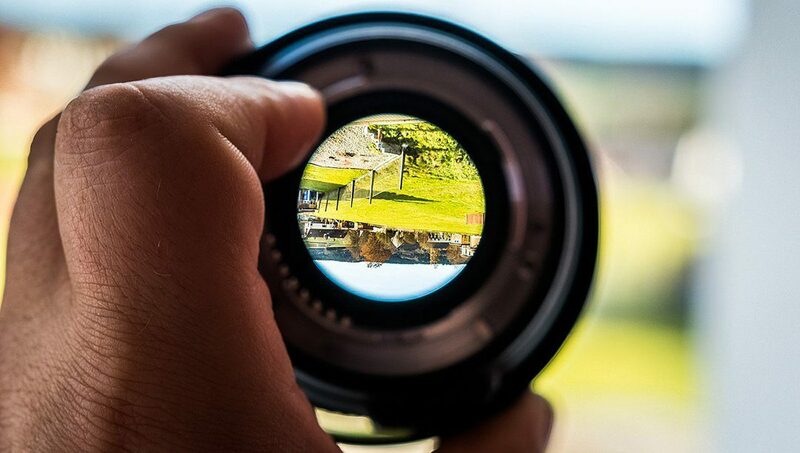 It all starts with applying a unique lens to your product—one that hardly anyone uses. I love a good lens. Not the kind we put on our faces, although a stylish pair of glasses can do wonders, but rather the metaphorical kind. Like a carpenter with his favorite hammer, I’m quick to reach for a lens whenever I set about solving a client problem. The beauty of a good lens is it brings into focus obscured and hidden details. In fact, I’ve found the right lens is transformational, recontextualizing a problem in such a way as to make the solution obvious. Lenses are the business thinker’s friend and when used intelligently, they never disappoint. In this piece, I’m going to share a lens with you that will reveal the pathway to creating an insurmountable gulf between you and your competitors. What is your company’s offering—a widget, software, a service, consumer goods? Take a moment and answer. Got it in mind? Good—now please hold that thought because we’re going to come back to it in a moment. There are about 30 million businesses in the US—a true multitude. Of course, this can only result in an overflow of offerings. As consumers we can all agree, it’s a beautiful thing. As business owners, it’s a different story. Our market is so thick with entrepreneurial endeavors that we find ourselves surrounded by competition. It’s the rare business that enjoys the fabled Blue Ocean. (I’ve never encountered one, have you?) For this reason, we are driven to create competitive advantages, to be somehow different, better, more desirable. Even with all our differences, most every business shares two things in common: products and customers. (I’m using the term “products” to encompass all offerings.) You could say that products and customers constitute the simplest of business models. To show you how you can create that insurmountable gulf, we need to focus on the product-customer model. Let’s get back to your answer to my earlier question. Let’s talk about your product. There are so many ways to look at your product. You can view it through its features or view it through its pricing. You can view it through its manufacturing or through its constituent parts. The list goes on. Each of these views (or lenses) help us understand our product in a unique way. For instance, when we think about it in terms of its sales, we’re assessing it through the lens of revenue generation. We’re not necessarily thinking about it in terms of the cost to make the product, or in terms of its efficacy, or about its brand. When we think in terms of sales we’re locked into answering revenue-related questions surrounding that product and nothing else. The trick to creating the insurmountable gulf is all in using the right lens—in seeing your product in a unique way. Now, a lot of people will tell you that using your customer as the lens is the way to go. Customers are certainly a critical piece of any product puzzle. But, I do not agree with this advice. This way of thinking—that the customer is the one lens to rule them all—consigns us to endless focus groups, voice of the customer programs, and a myriad of dubious online customer surveys. We get stuck focused on use cases, features, and benefits—fine things in their own right, but not enough to really change the game. To see the full picture we have to use the lens of your customer’s journey. This is the lens that doesn’t just look at your product, but rather contextualizes your product within your customer’s full experience. It may not seem like it right now, but this way of looking at your product can generate significant innovation; insurmountable-gulf-level innovation. Looking at our product through the customer’s journey reveals one very important insight, the key really: the entire experience is the product. This is the truth that if we choose to act on it will create the insurmountable gulf. Your customer has a journey that starts with a felt need, consummates in acquiring your product, and continues as they use it, maintain it, and eventually replace it. There are tens, if not hundreds, of points along that journey where your customer is interacting with your company and experiencing your product. What are all these interactions and experiences like? What is it like to experience your marketing? What about your sales process? What is it like to buy your product or take delivery? What is it like to use your product? To contact customer support? To replace your product when it’s used up or worn out? We easily get focused on the features and benefits of our product, and we should. But, in doing so, we lose track of the fact that our customers form their opinion of our product based on the whole experience. Whether they know it or not, to our customers, the whole experience is the product. If your widget works great but your sales team is cranky and your after-sale support is nonexistent, then really your product is subpar. The fact is, our customers are not just buying our products, they are buying the whole experience. If the experience is lackluster then the odds are they won’t come back, even if the product is decent. Let me give you an example. Have you ever bought a pair of shoes from Zappos? It’s crazy. They’re just shoes. In fact, Zappos is just a retailer. They don’t make their own shoes or sell a private label version. They just retail a huge collection of name brand shoes on line. Simple. But people love Zappos, like really love them. From a start up in 1999 to a multi-billion dollar business today, Zappos enjoys the insurmountable gulf when it comes to retail shoes. It was so successful that it was acquired in 2009 by Amazon for $1.2 billion. The reason? Well, it’s the experience. They bend over backwards to make your experience amazing. You can even call their customer service department and ask for a list of pizza delivery companies in your neighborhood and they’ll come through. Zappos gets it. They know that the entire experience is the product and they’ve crafted, scripted, and innovated every moment of their customer’s interactions and experiences. All of this is done specifically to create an experience so unique that no one can hold a candle to them. What does this mean for us? It means we have an opportunity. Most companies do not think this way. They don’t consider all aspects of their customer-facing operations as part of the product. Sure, we all want to have great customer service and quick delivery times. But, I can tell you with confidence, it is the rare company that purposefully crafts the entire customer experience from pre- to post-sale to product lifecycle to repeat purchase with the understanding that the experience is the product. This means that companies who understand this insight have an opportunity to create real advantage. What if you mapped out your customer’s service journey and you began to look for ways to improve just one aspect of that experience? What if you were able to innovate that one aspect and you developed a unique and better way to engage your customers? What if you only did that this year? How would that impact your customer relationships? How would that help your sales team? How would that effect your revenues and margins? What if you did that every year, just focused on one aspect of your customer’s journey, and innovated, improved, and transformed it? Do you think you’d pull out ahead of the pack? Do you think you’d transform your brand? Do you think the market would view your offering as head and shoulders above the competition? Could you create an insurmountable gulf? Zappos did it and I know you can, too.